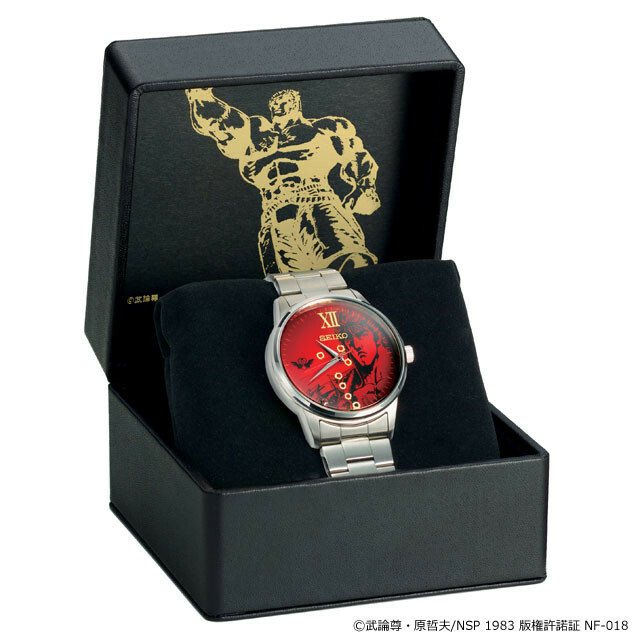 A new collaborative watch will let you keep Kenshiro close at hands at all times. 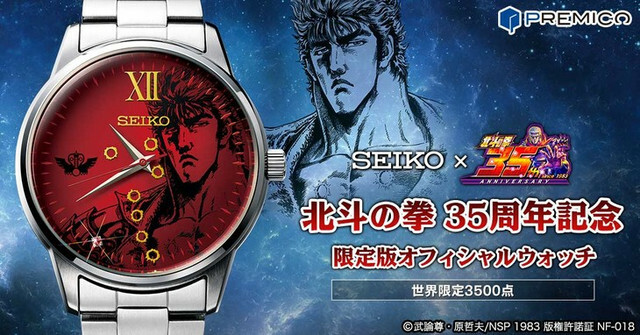 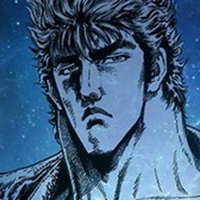 Made by SEIKO, the new Fist of the North Star 35th anniversary watch features art of Kenshiro on the face, with his seven scars overlaid in gold. 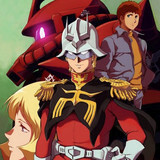 The Ken-Oh Army Royal Crest appears at the 9 mark, and a rhinestone at the 7 mark stands in for the Death Omen Star. 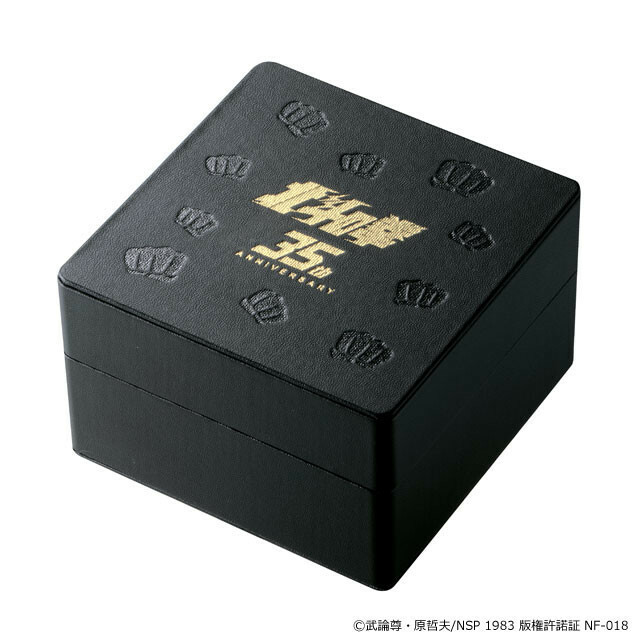 The back of each watch is engraved with Tetsuo Hara's autograph, and each watch arrives in a collector's box that, judging by the fist-prints, is already dead. 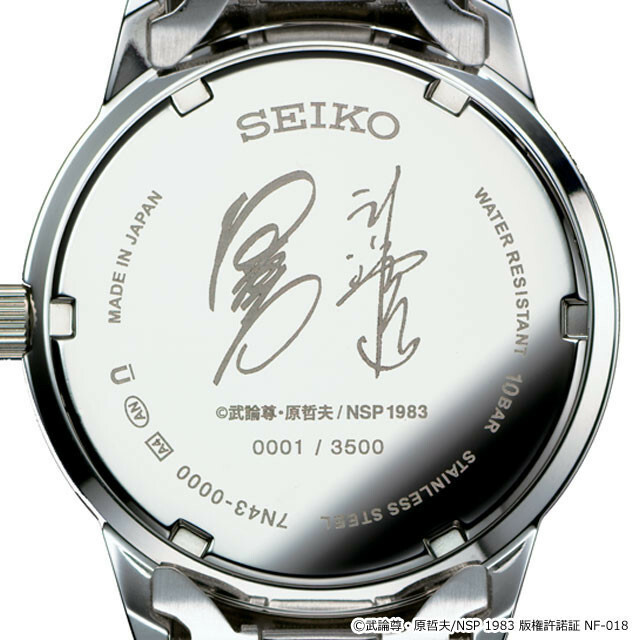 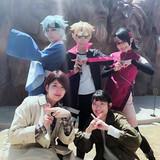 Watches are 48,384 yen each, and are limited to a run of 3,500. 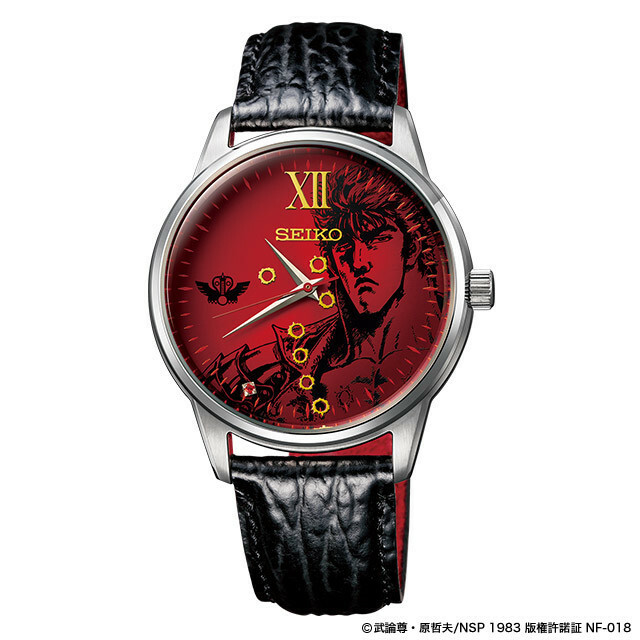 Pre-orders are now open, with watches expected to ship in mid-June.